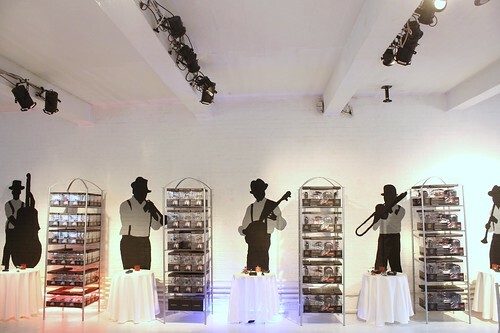 Shop Studios hosted and produced a “Cotton Club” themed press event for Propel Brand toys. 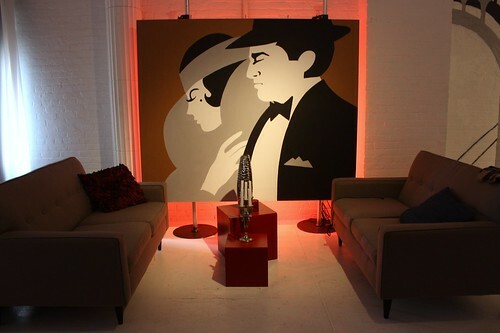 We designed, styled, created Branded Murals and even catered the week-long fair at our Studio Event Space in Midtown. 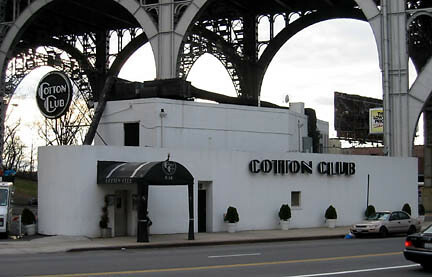 We referenced the bridge behind the iconic Cotton Club to design our mural. We were inspired by the silhouette of the bridge standing starkly against the white sky and wanted to recreate that image for the Toy Fair. 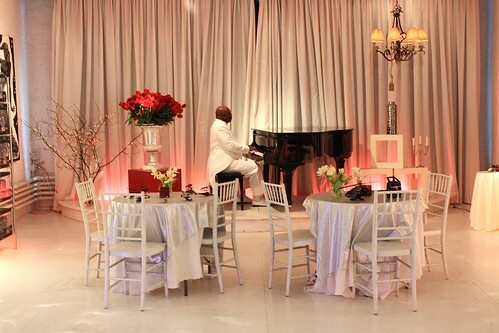 Gave people a grand entrance! 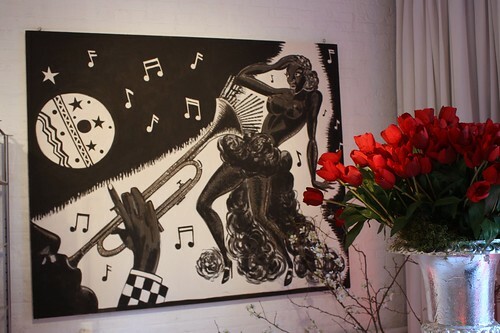 On one side of our Studio, we painted Jazz performers, and on the other side we painted spectators, as if they were playing and watching directly across from each other with the cafe set in-between. 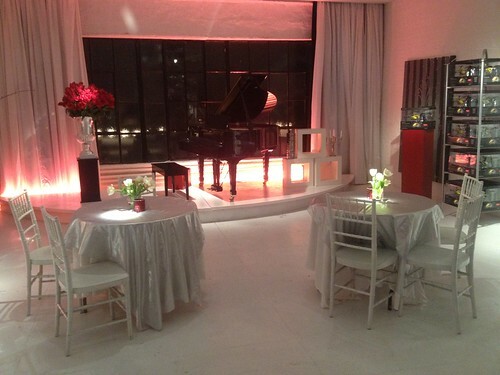 Lighting design included candles in translucent red holders, blue and red alternating fluorescents glowing behind drapes and products, gallery-style spot lighting from above in white light, and use of natural light coupled with sheer and opaque white curtains on the larges windows. 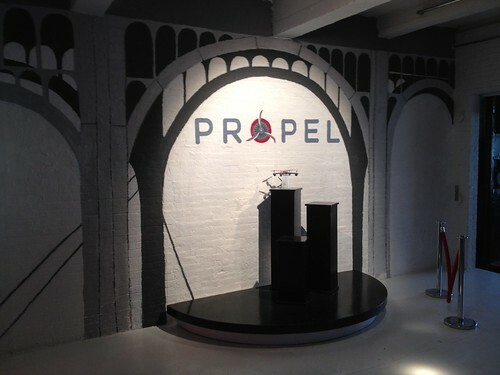 This fireplace was set up in our North Room on the Main Stage, and served as a break-out area from the main Toy Fair space. It featured new lines of products for Winter 2013 holidays. 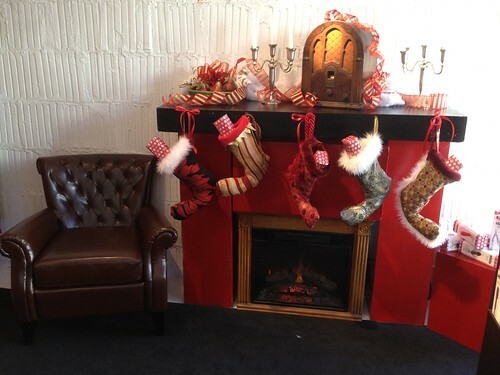 We built the fireplace with a digitally animated fire inside, and sewed custom, quirky stockings to go with it! 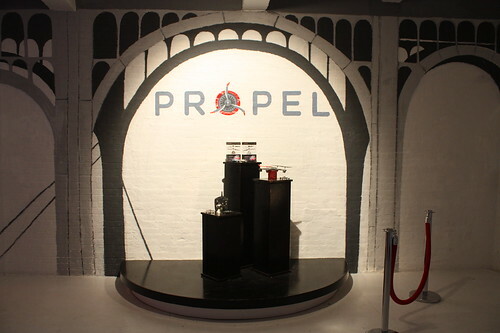 Props and tabletop styling by Eric Steding. 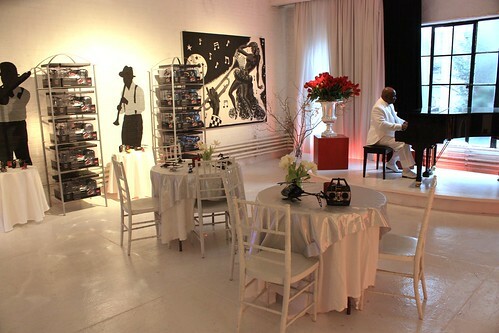 Shop Studios hired professional Piano player, Duane, to perform era Jazz pieces throughout the event. 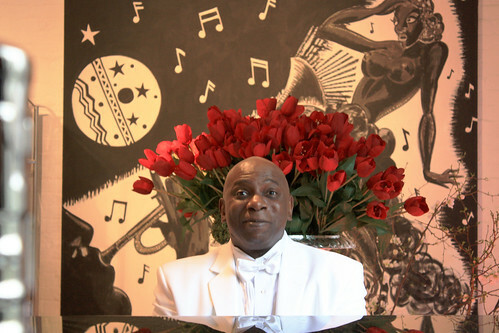 We ordered a baby grand piano to be brought in via our Freight Elevator. Our whole staff worked to create paintings for this event, so each custom piece of art had a unique style. 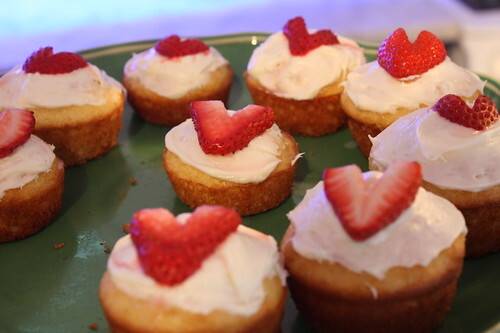 The Toy Fair coincided with Valentines Day, so Shop Studios created custom holiday cupcakes for guests.